It’s the perfect quilt to a beginner or someone wanting a fun and easy quilt. A great way to use up a jelly roll you might have or buy one with a great new fabric line! 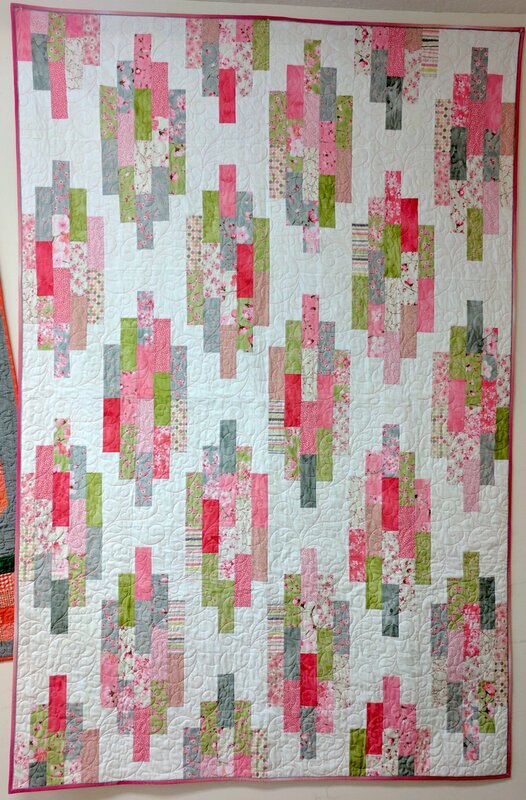 Simple cutting and piecing make sewing this quilt together a real breeze.